Last September, I took one of the most memorable trips of my life, traveling around the Galapagos Islands in the some of the finest accommodations available. 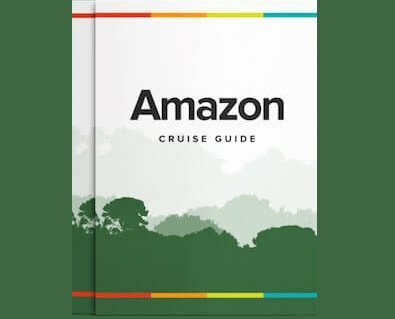 A cruise is truly the best way to visit the numerous microclimates found in this unique archipelago, but staying on land has its advantages too, so I was sure to organize a couple nights before and after the Petrel Galapagos cruise, to experience more of Santa Cruz and San Cristobal. For the distinguishing luxury traveler, there are two stand out 5* properties on these islands: Pikaia Lodge on Santa Cruz and Golden Bay on San Cristobal. There are two airports in Galapagos, and my arrival was into Baltra, just off the Northern coast of Santa Cruz. After gathering my luggage, I joined the other travelers for the short 10 minute bus ride to the channel, where we boarded a short 5 minute ferry to Santa Cruz. From there, many white 4 door pickup truck taxis are waiting to take you anywhere on the island. The drivers all had big, genuine smiles on their faces, and were eager to share their local knowledge on the drive. After about 45 minutes on well maintained asphalt and dirt roads, we arrived at the gate to Pikaia Lodge. The main gate for Pikaia Lodge brought memories of Jurassic Park, as the main gate swung open, welcoming us in for a one of a kind wildlife experience. Thankfully, the large reptiles came in the form of slow moving giant tortoises roaming the grassland, rather than the dinosaurs of childhood torment. As we made our way along the beautiful, coffee plant lined road, the lodge came into view as the only settlement on the hill, offering unparalleled views of the island, from the Southern coastline all the way to the Northern tip, with Santa Fe Island visible off in the distance. At first sight, the Lodge’s presence creates a beautiful contrast with the wild Galapagos landscape, melding hard modern lines with rough cut natural lava rocks and green rolling hills. Inside, the carefully curated artwork and Pikaia fossils continue to reverberate this contrasting style throughout the entire lodge. All interior and exterior spaces are carefully thought out, large and balanced, with a consistent motif. The design is only exceeded by the professional staff, who clearly pride themselves in every service provided. Demeanor is a careful thing for any individual to master, and this team has done so collectively; everyone was warm, approachable, professional, but not pretentious. The dining is excellent, with a limited yet tasteful wine list and many locally sourced ingredients. The rooms are spacious, with private balconies/terraces, and high ceilings in the suites and second floor rooms. The bathrooms are exceptionally well designed and include dual sinks, walk in closets, showers, and a large bathtub. The area is very peaceful and quiet at night, so even the lightest of sleepers will rest well. The lodge offers a variety of excursions around the island of Santa Cruz, as well as day Galapagos trips to nearby islands onboard the Lodge’s private yacht. This is a perfect option for those seeking a world class exploration of the Galapagos, but prefer to base themselves on land, rather than a cruise. For those who are embarking on a Galapagos cruise, the lodge serves as a perfect compliment, allowing you to discover the many treasures of Santa Cruz and the nearby islands in more detail that possible with just a cruise itinerary. A cruise and lodge combination provides the best and most well rounded Galapagos experience. For my latest trip, I combined Pikaia Lodge and an 8d/7n cruise on Petrel. After leaving Pikaia, and traveling back to the channel between Santa Cruz and Baltra, the transfer team from Petrel was waiting with wide smiles. After a short panga ride, we boarded our new home for the next 8 days, we were introduced to the cruise director, and taken to our suite. Each of the cabins on Petrel has a private balcony, even the single passenger cabin. Our main deck suite was beyond spacious (463 Sq. Ft. / 43 Sq. Mt. ), with a king size bed, extra wide vanity, long balcony, fold out love seat, and a comfortable sitting area. The Galapagos catamaran has three decks for passenger, as well as a lower deck for the kitchen, engine rooms, and crew quarters. The main deck has 2 suites, 2 standard cabins, a small gym, library, a spacious dining room, and comfortable lounge. The second deck has 4 standard cabins and 1 smaller single passenger cabin, with the bridge and captain's cabin at the front of the boat. The observation/sundeck on the top level has a jacuzzi, grill, tables for dining and fully stocked bar. The top deck is a popular hangout in the afternoons and just before sunset. When navigating through the Bolivar Channel, between Isabella and Fernandina Islands, the observation deck is the place to be, as the underwater geography and ocean currents bring many nutrients to the surface, boosting plankton populations, and providing ample food for passing whales. This is the best place in Galapagos to watch for whales, during their migration season. As soon as we had some time to settle in and unpack, we were excited to embark on our first excursion. We set off on a quick panga ride to North Seymour Island, arriving right at the start of the magic hour, that special time before sunset, when the golden light comes in at a low angle, making for spectacular photos. Here we caught our first glimpse of the iconic Blue Footed Booby, Galapagos land iguana, and friendly families of sea lions. After a casual walk around the island, we made our way back to the boat, and got ready for dinner. The meals onboard were always prepared fresh, with a well balanced and varied menu. After dinner we had our first of the nightly debriefs, where we sipped a glass of wine and planned our next day's activities. That night we slept well, while the captain navigated toward the Northern tip of Isabela Island. In the morning, we rose to soft music over the in-room speaker, followed by a friendly wake up call for breakfast. The chef had a nice buffet set up; with fresh fruit, breakfast sausage, an omelet station, and espresso bar, we were well energized to kick off our first morning excursion. Back in the panga, we made our way to Vicente Roca point for coastal wildlife spotting, followed by our first plunge into the Pacific, where we snorkeled with sea lions and countless species of fish. Here at Vicente Roca, we had the first of many rare species sightings, when our expert naturalist guide spotted a Sun Fish fin off in the distance, and our driver sped us off to get a closer look. As we crept up to the elusive fin, we could easily see its unique markings and enormous body waving in the water just below us—a very special treat on the first morning. This excitement was followed by lunch in the main dining room and a well deserved siesta on the observation deck. In the afternoon, we cruised over the neighboring Fernandina Island, where we landed at Espinosa Point. Our naturalist explained how this island is the youngest of the archipelago, and due to its biological sensitivity, only a few travelers are permitted to explore a small corner of the coast. Here we encountered teeming mounds of black marine iguanas, basking in the warm rays of the late afternoon sun, spitting salt from their noses, paying us no mind as snapped away with our cameras. Back on board, we enjoyed another wonderful dinner, went over the highlights of the day, and made our plan for day three. Our soft pan-flute wake up call over the intercom led to another nice breakfast, and on to our morning excursion. We made landing at Tagus Cove on Isabela Island, where we hiked for about 30 minutes up to Lake Darwin, offering expansive views of Fernandina and Isabela Islands. Along the hike, we found graffiti carved in the hard stone dating back to the 1800s, where sailors have congregated for hundreds of years, leaving their mark for future explorers to bear witness. We couldn't help but feel a camaraderie with these early seamen, in this remote location, we didn't see another soul the whole time we spent in the area. Such a remote uninhabited area, surrounded by unique species, gave us a moment to reflect on how special an experience it is to reach the farthest side of Isabella. After this, we retrieved our wetsuits dove into another snorkeling outing, where we swam with flightless cormorants and penguins. We marveled at these clumsy land goers soaring through the water. This wasn't the aquarium experience, where a dozen penguins swim behind glass, these birds weaved all around us, dodging our limbs as they chased small morsels. To my knowledge, there is no other place on earth where you can experience anything quite like this. After lunch, we made landing at Urbina Bay and set off on an hour long stroll, spotting large golden land iguanas camouflaged among the yellow leaves scattered around the trail. About ten minutes into the walk, our guide called us over to an ordinary low hanging branch, asked us to lower our voices, and pointed through the branches. To our amazement, we were standing 5 feet from a wild giant tortoise, hidden just behind the wall of leaves. The lumbering giant casually moved his head around to see who was there, then continued on his way. After returning to the Petrel, we enjoyed another sumptuous meal, sat in on another debrief, then settled in for another restful nights sleep. The next day began early, with a pre-breakfast excursion through a secluded mangrove forest. The early rise was well rewarded when we came across schools of young golden rays sliding through the calm clear water, numbering in the twenties, they moved like a flock of birds around and under our boat. We returned for breakfast, before setting out for a panga ride along the coast, catching photos of countless blue footed boobies, marine iguanas, and sea lions, just a few of the animals seen on a Galapagos cruise. In the afternoon, we landed at Moreno Point and hiked along a jagged primordial black lava flow, which was speckled with green plant life ringing a network of inland tide pools, starkly contrasting the barren landscape. To our amazement, at the last tide pool we found a single pink flamingo. Witnessing such a fragile bird bathing in the midst of a severe landscape left us amazed once again. The microclimates found in the Galapagos are countless, and each holds a unique gem to be discovered. When we made our way back to Petrel, we all went up to the top deck to watch the sun settle into the sea. To our amazement, the boat did an about face and sped off in the direction we just came from. The naturalist came running up the stairs with a satisfied grin. “I found whales!” he proclaimed, “The captain is taking us to see them”. We all grabbed our long camera lenses and binoculars and waited in anticipation. A couple minutes later, we were bearing down on a few large whales, casting huge clouds from their blowholes. With the sun setting off the Southwestern tip of Isabella, we were all left with giddy smiles. In the morning, we made port in Puerto Villamil and took a bus up the Sierra Negra Volcano. We hopped off the bus near the top, and hiked for about 20 minutes to the rim, spotting many species of finches along the lush, gently rising trail. The view from the top was awe inspiring, with a 9x10km span, this is the largest basaltic caldera in Galapagos. We spent about half an hour taking photos, learning from our guide about volcanism and the formation of the archipelago. After a top deck barbecue on Petrel, we headed back to Puerto Villamil, where we visited a giant tortoise breeding center, and learned about the life cycle of these endemic species, as well as the environmental impact humans have made on their habitat, necessitating captive breeding programs to maintain their population. From here we took a nice shaded boardwalk through the wetlands, spotting many birds and iguanas along the way. The rest of the afternoon we spent on a white sand beach, which culminated in another beautiful sunset, this time over the aqua waters of the small port town. We then navigated through the night, making our way back to Santa Cruz. Waking up in Puerto Ayora, we prepared for a visit to the lauded Charles Darwin Research Station. Here we encountered several species of giant tortoise, learning how each evolved to their present form. Next we headed to the highlands, where we found a protected corridor for wild giant tortoise migration. To top it off, this property sits atop a network of subterranean lava tubes. As we descended into the 3m mouth of the nearest tube, we all talked about how lucky we were to experience so many aspects of these islands, on and under the water, now both above and below ground, venturing through the tubes that carried the lava which formed the entire archipelago—it felt like we came to the source of it all. 800m later, we climbed the staircase back to the surface of the earth and took our van back to the port for lunch onboard. In the afternoon, our group slit into two groups, those who needed to find an internet connection in town and those interested in finding one of the most beautiful beaches in the islands. We joined the later, and took off on a 3.5km walk to the secluded Tortuga Bay. At the end of the cobblestone path, we found a kilometer of pristine white sand beach, where sea turtles come to to nest. Not many travelers make this walk, which was apparent when we counted just 8 other bipedal hominids roaming this hidden paradise. At the end of the beach, there was yet another secret corner to round, leading to a calm water bay, with shallow water heated by the sun, this is an ideal spot to relax for an hour or two. As the sun hung low in the sky, we knew it was time to head back for dinner, but little did we know, our naturalist had a surprise for us. It turns out, he overheard our group commenting on some lobsters we saw in Puerto Villamil the day before, and he proposed we have dinner in town, at “the best lobster spot in town”. As we were in the heart of the Galapagos lobster season, and our interest was peaked the day before, the decision was unanimous. I must say, the “Langosta Encocado” at William & Esmeralda’s Delights is beyond words. Our guide introduced us to the owner, William, who happily gave us a peek inside his kitchen, and proudly shared his secret method to the best lobster anyone in our group ever tasted. With full bellies and happy hearts, we stopped by a local bar for a nightcap on the way back to our home on Petrel. I say home because the cruise team truly made us feel welcome from the moment we met on the first day. The whole service team was from Puerto Baquerizo Moreno, the tiny port town on San Cristobal Island, and they exude small town friendliness, with a deep pride in sharing their home with the world. On the morning of our last full day on Petrel, we started with an excursion to South Plaza Island. With dramatic cliffs and nesting birds, this island is a great location for photographers. As we were visiting in the Galapagos dry season, the Sesuvium plant was a vibrant red, making for beautiful contrasting photos with the nesting Lava Gulls. In the afternoon, we navigated to Santa Fe, where we found an isolated species of land iguana, once again demonstrating how special each microclimate is to evolution, and how you really need a longer itinerary to grasp this. Back on board, we spent the late afternoon on the top deck, watching Santa Fe fade into the horizon as we approached San Cristobal. We woke up on the last day of the cruise with a heavy heart, knowing this was our last morning with our new friends, both passenger and crew. But this would be relieved by the most special moment of the trip. First, we landed on Isla Lobos off the coast of San Cristobal, where we found nesting Blue Footed Boobies and many sea lions jumping in and out of the water. But the magic moment was after we were back on board, motoring back to port for disembarkation. We were in our cabin, preparing our bags when there was a frantic knocking at our door. Our naturalist was grinning from ear to ear, “we found Orcas!”. The captain had already turned the boat around, making toward a group of 3 Orcas about a kilometer away. With binoculars in hand, he was sure of what he saw, and he didn't disappoint. As we approached, the crew was already lowering the panga into the water, gathering life jackets, and helped us into the small boat. We closed in on the last place they had surfaced, and scanned in all directions, hoping they hadn't dove deep and swam away. All of a sudden the panga driver pointed at the water below the hull, and just a meter below the surface was a massive Killer Whale, slowly passing underneath us. We could make out every detail through the clear water, and moments later all three surfaced about 5m to the side of us, and we realized one was a baby. They surfaced a few more times near us before we decided it was best to let them continue on their way. Back on board, the air was electric, none of the crew had ever seen Orcas in this area, and only a couple had ever seen them. This was the best climax to an amazing cruise with the masterful team on Petrel, an unforgettable experience! When the time came to disembark, we said goodbye to our friends, and our guide showed us to our next accommodations, at Golden Bay. Our bags had already been transferred from our cruise suite to our room at the hotel, once again leaving us to fully enjoy every moment of the trip, all the details were handled. Walking up to Golden Bay, it’s immediately obvious this is the best hotel option in San Cristobal. The recently completed property is conveniently located along the seaside boardwalk steps away from restaurants, shops, the main port, and just a 10 minute walk from the beautiful Playa Mann. The style of this hotel is decidedly modern, each room is whitewashed in every detail aside from the large flat screen tv and a single silver chair. But this final design doesn't skip over the details you would expect form a 5 star hotel. The recessed lighting, floating walls, and high end furnishings bring depth to a modern minimalist motif. The small balcony in a standard ocean view room has a nice view to the sea, though mostly faces the neighboring buildings. The suites, on the other hand, are directly facing the ocean, and offer unparalleled views, with spacious floors, and large bathtubs facing the panoramic windows—easily concealed by curtains. On the rooftop, astroturf carpets the floor, twin jacuzzis line the ocean facing wall, and sun chairs are laid out for afternoon lounging, all serviced by a full bar. There is no better terrace found on the island. On the main floor, a horseshoe bar compliments a spacious indoor/outdoor dining room, with a wood fired pizza oven delivering exquisite pies. The dining is top notch, outperforming all other recommendations by a long shot. Our favorites were the the Ensalada del Mar and Pizza del Mar, both made with fresh seafood and latin inspiration. The service is relaxed but highly professional, with friendly english speaking bilingual waiters, any question about the menu is readily answered. With Paula, the hotel manager, at the helm, this property runs like a well oiled machine, any problem is solved immediately, with care and grace. After a couple wonderful nights here, enjoying the hotel and nearby beaches, we found ourselves packing for our trip home. The airport is a quick 5 minute taxi ride from anywhere in town, making the return travel logistics a breeze. If you are looking for a well rounded trip to the Galapagos, with the most luxurious accommodations and service, this is the ultimate combination. At every step, along with our fellow travelers, we were exceptionally well taken care of and made to feel at home. Pikaia Lodge is by far the most refined property in the islands. Petrel is among the very best luxury cruise options, and her suites are among the largest. Golden Bay is far ahead of all other hotels on San Cristobal and only follows Pikaia when compared with all land based lodging in the Galapagos. If you have any questions about this trip, or would like to plan your own custom itinerary to this magical corner of the world, don't hesitate to contact us or call 1-888-215-3555, I’m always keen to share my knowledge.